Entities both in the private and the public sector are trying to develop their customer experience in the pursuit of business and socioeconomic value. The issue is profoundly complex. 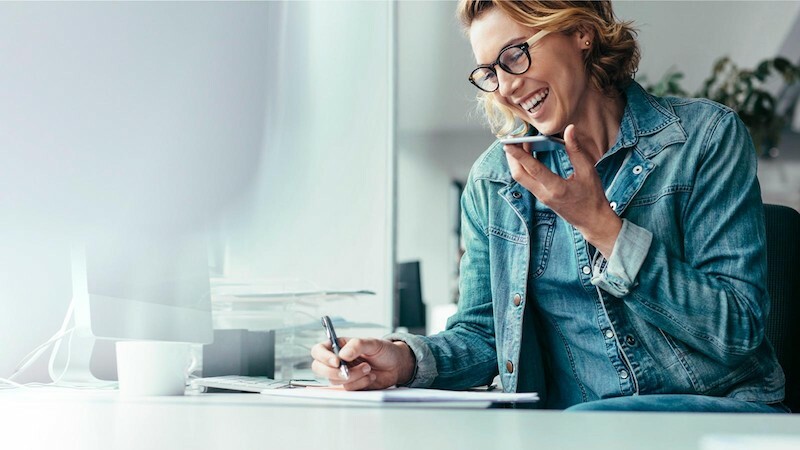 This blog concentrates on customer experience fundamentals, customer and employee experience (CX-EX) connection, and simple ways to boost employee engagement. Customer experience and its importance on business performance is nowadays widely recognized. Both practitioners and academics have found that stronger customer experience leads to stronger financial performance and 2/3 of marketers agree to compete mostly with customer experience. In the 24/7 connected economy customers are progressively more demanding and have begun to expect customised services across channels. Strengthening customer experience is the way to differentiate, especially in commoditised markets. This has been noticed by many management teams and trendy CX ideas have gained plenty of backing. Still, this potential often stays on an abstract level. Without senior leadership commitment it is impossible to get started, but equally without definite actions it is impossible to get anywhere. Let’s explore how to initiate better customer experience in a concrete manner. First and foremost, customer experience is a consequence and a result of many other things. It cannot be improved in the blink of an eye. Consumer research, design thinking, and re-branding are amongst many tools to adjust firms’ value propositions and creation mechanisms, but we need to go deeper. Good customer experience begins with people – employees. A happy and engaged employee produces great customer value. Workplace wellbeing increases employees’ performance and boosts motivation. We tend to do better when we find our occupation interesting and meaningful. This flows from small things like productivity to improved output and finally customer encounters in different channels. From the customer perspective, sensing that employees enjoy their work immediately builds a finer experience. As an illustration, Adobe has created a shared department for customer and employee experience with an aim “to be as exceptional to work with as to work for”. While direct relations from the CX-EX function to their continuous +20% YoY revenue growth are difficult to interpret, it undoubtedly has had a positive effect. Fortunately, there are several common sense means to advance employee experience. The simplest way to enhance employee experience is to clarify what are each person’s responsibilities, and why. As every organisation’s mission is to create value to a stakeholder or another, it is quite certain that each individual’s efforts – whether in the customer interface or back-end coding – will influence the experienced value of the stakeholder. When employees understand the contributions of their actions to customers’ experience, two good things happen. They become more engaged with their responsibilities and truly begin to share the company’s purpose, which connects them to the larger community. Moreover, employees’ sense of accomplishment can be boosted with behaviour-guiding targets and metrics. Leading companies are devoted to aligning all organisational levels to customer objectives with customer-focused KPIs. In Tieto, customer experience is central to performance appraisals and each employee has their related CX target. Measuring and following the progress makes customer experience more tangible, easier to manage, and motivating. Thus, a cohesive customer-oriented culture and an engaging working environment lead to an augmented customer experience. This is a force that drives competitive advantage and bottom line results. The questions that may have risen to your mind now could be: how can I, an employee entrenched in internal operations, influence our customer experience? As a manager, how can I set the correct customer KPIs? Maybe you feel that NPS is enough, but does it alone give truly actionable guidance? These questions and notions for sure are very tricky with no correct answers. Though, it is best to adopt a systematic approach to model the different functions of an organisation and customer experience creation. One option is to utilise a systems thinking perspective. Vili Nieminen is a customer-oriented business student from Aalto University. In addition to these motifs, he is interested in IT and outdoors exercises. Vili writes on behalf of Qentinel, one of our CX Masterclass partners. Grønholdt et al. (2015), “Customer experience management and business performance”. International Journal of Quality and Service Sciences, 7(1), pp. 90-106. Pemberton, C. (2018), “Key Findings From the Gartner Customer Experience Survey”. [Online] Available at: https://www.gartner.com/smarterwithgartner/key-findings-from-the-gartner-customer-experience-survey/ [Accessed 18 Oct. 2018]. Yohn, D. (2018) “Fuse Customer Experience And Employee Experience To Drive Your Growth”. [Online] Forbes. Available at: https://www.forbes.com/sites/deniselyohn/2018/03/06/fuse-customer-experience-and-employee-experience-to-drive-your-growth/#4787f84142e9 [Accessed 18 Oct. 2018]. Finance.yahoo.com, (2018) “Adobe Inc. (ADBE) Financials”. [Online] Available at: https://finance.yahoo.com/quote/ADBE/financials?p=ADBE [Accessed 18 Oct. 2018]. MITSLoan Management Review, (2018) “Leading With Next-Generation Key Performance Indicators”. [Online] Available at: https://sloanreview.mit.edu/projects/leading-with-next-generation-key-performance-indicators/ [Accessed 18 Oct. 2018]. Qentinel.com, (2017) ”Työntekijöiden vaikutus asiakaskokemukseen”. [Online] Available at: https://qentinel.com/fi/qentinelin-asiakkaat/tyontekijakokemuksen-vaikutus-asiakaskokemukseen-tieto-case/ [Accessed 18 Oct. 2018].